CloudWATCH2 will have an active role on Cloud Security Expo 2017 by organising and supporting 3 workshops, on 15th March, at South Gallery Suite SG25, for SMEs, Public Authorities and R&D initiatives to strategically plan their use of cloud services, while increasing benefits, lowering risk and maximising security. Workshops are open to all and free of charge. CloudWATCH2 Workshops are a unique opportunity to get guidance on how to use cloud computing to get competitive advantages in organisations. The workshops gather together European Cloud Experts, who are available to share their insights about how to select the best cloud services provider for your organisation. Plus, the workshops will focus as well on the Digital Single Market and European General Data Protection Regulation, both hot topics that will revolutionize future European economy. Join CloudWATCH Workshops: improve your skills & network with Cloud Computing players. 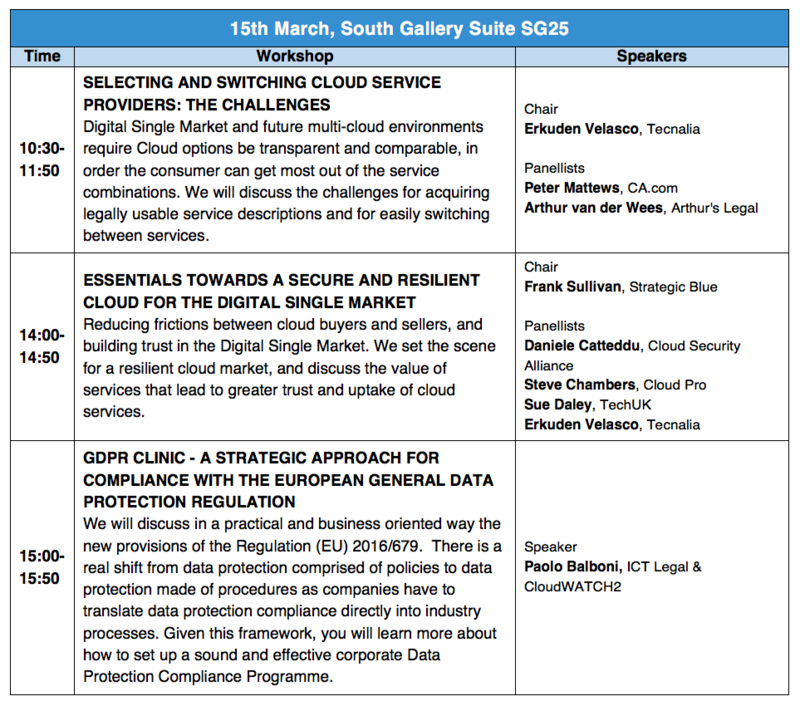 Find out more about CloudWATCH at the Data Protection, Security and Privacy Information Stand at Cloud Security Expo.